The burden of preventable chronic diseases is straining our nation’s health and economy. Diseases caused by obesity and tobacco use account for the largest portions of this preventable burden. CDC funded 50 communities in 2010 to implement policy, systems, and environmental (PSE) interventions in a 2-year initiative. Funded communities developed PSE plans to reduce obesity, tobacco use, and second-hand smoke exposure for their combined 55 million residents. Community outcome objectives and milestones were categorized by PSE interventions as they related to media, access, promotion, pricing, and social support. Communities estimated population reach based on their jurisdiction’s census data and target populations. The average proportion of each community’s population that was reached was calculated for each intervention category. Outcome objectives that were achieved within 12 months of program initiation were identified from routine program records. The average proportion of a community’s jurisdictional population reached by a specific intervention varied across interventions. Mean population reach for obesity-prevention interventions was estimated at 35%, with 14 (26%) interventions covering over 50% of the jurisdictional populations. For tobacco prevention, mean population reach was estimated at 67%, with 16 (84%) interventions covering more than 50% of the jurisdictional populations. 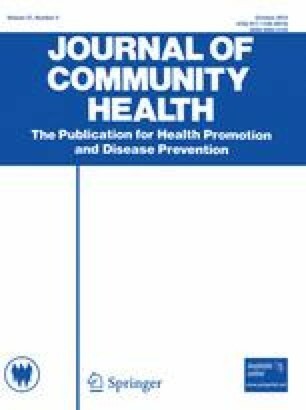 Within 12 months, communities advanced over one-third of their obesity and tobacco-use prevention strategies. Tobacco interventions appeared to have higher potential population reach than obesity interventions within this initiative. Findings on the progress and potential reach of this major initiative may help inform future chronic disease prevention efforts. The findings and conclusions in this article are those of the authors and do not necessarily represent the official views of the CDC. Please check Appendix section for the CPPW Program Group. CDC-Atlanta: Elizabeth Reimels, Suzanne Gates, Amy Holmes-Chavez, Carolyn Brooks, Elijah West, Jeff McKenna. From ICF International: Alicia Swann. From the CPPW projects: Teri Chafin (Jefferson County, Alabama); Jim McVay (Alabama); Donald Gates (Pima County, Arizona); Andrea Ridgway (Arkansas), Linda Aragon (Los Angeles County, California); Bonnie Broderick (Santa Clara County, California); Tracy Delaney (San Diego County, California); Paul Simon (Los Angeles County, California); Lisa Pivec (Cherokee Nation); Stacy Weinberg (Tri-County Health Department, Colorado); Vance Farrow (Washington, District of Columbia); Claude Dharamraj (Pinellas County, Florida); Yolanda G. Martinez (Orange County, Florida); Karen Weller (Miami-Dade County, Florida); Sandra Elizabeth Ford (DeKalb County, Georgia); Jeff Muse (Great Lakes Inter-tribal Council); Dileep G. Bal (Kauai, Hawaii); Lorrin W. Pang (Maui, Hawaii); Adam Becker (Chicago, Illinois); Stacy Ignoffo (Chicago, Illinois); Christina Welter (Cook County/Chicago, Illinois); Dawn M. Adams (Indiana), Bonnie Mapes (Iowa); Matt Zahn (Louisville/Jefferson County, Kentucky); Debra Wigand (Maine); Anne McHugh (Boston, Massachusetts); Margaret Reid (Boston, Massachusetts); Rachel Cohen (Minnesota); Barry Freedman (St. Louis County, Missouri); Mary Balluff (Douglas County/Omaha, Nebraska); Deborah Williams (Southern Nevada); Elizabeth Kilgore (New York City, New York); Lynn Silver (New York City, New York); Ruth Petersen (North Carolina); Stacy Wegley (Hamilton County, Ohio); Sonia Manhas (Multnomah County, Oregon); Giridhar Mallya (Philadelphia, Pennsylvania); Kristyn Yepa (Pueblo of Jemez); Ana Novais (Rhode Island); Sharon Biggers (South Carolina); Alisa Haushalter (Nashville/Davidson County, Tennessee); Philip Huang (Austin/Travis County, Texas); Christine Rutherford Stuart (San Antonio, Texas); James Krieger (Seattle/King County, Washington); Joe Barker (West Virginia); Susan Uttech (Wisconsin). Centers for Disease Control and Prevention. (2009). The power of prevention. Atlanta, GA: US Department of Health and Human Services. Retrieved from http://www.cdc.gov/chronicdisease/pdf/2009-Power-of-Prevention.pdf. Convergence Partnership. (n.d.). Who we are. Retrieved April 14, 2011 from http://www.convergencepartnership.org. Centers for Disease Control and Prevention. (n.d.). About MAPPS strategies. Retrieved October 14, 2011 from http://www.cdc.gov/CommunitiesPuttingPreventiontoWork/strategies/index.htm. Baby Friendly USA. (2010). Guidelines and Evaluation Criteria for Facilities Seeking Baby- Friendly Designation. Sandwich, MA: Baby Friendly USA. Retrieved from http://www.babyfriendlyusa.org/eng/docs/2010_Guidelines_Criteria_4.19.11.pdf. Centers for Disease Control and Prevention. (2011). Community transformation grant program. http://www.cdc.gov/ctg. Accessed October 14, 2011. World Health Organization. (2011). Spending on health: A global overview. World Health Organization Web site. http://www.who.int/mediacentre/factsheets/fs319.pdf. Accessed April 14, 2011. Central Intelligence Agency. (2011). Country comparison: Life expectancy at birth. The World Factbook. Central Intelligence Agency Web site. http://www.cia.gov/library/publications/the-world-factbook/rankorder/2102rank.html. Accessed April 14, 2011.